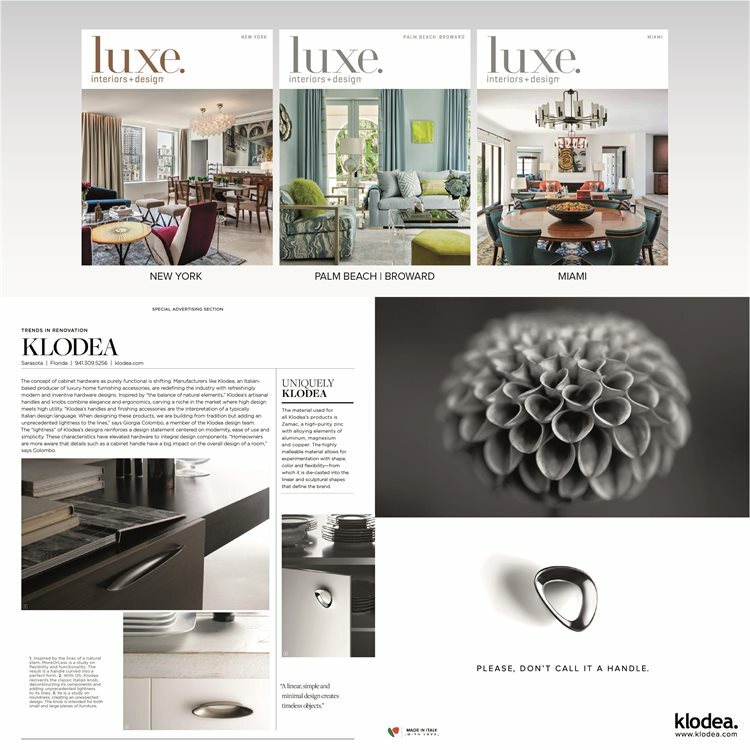 Luxe, one of the most influential magazines for interior design, is Klodea’s choice for the launch of the brand on the American market. The elegant and sophisticated advertising campaign is the perfect representation of the brand’s mood and it is presented on the New York, Miami and Palm Beach editions. The project is created with the concept of natural elements being the inspiration for Klodea’s collections. The goal is to share the Italian passion for design.